LARES-A&H/SS (Laser Relativity Satellite - Avionic & Harness / Support System) is the payload environmental data acquisition, satellites’ separation and telemetry transmission core adopted for the first test launch of the Vega booster. 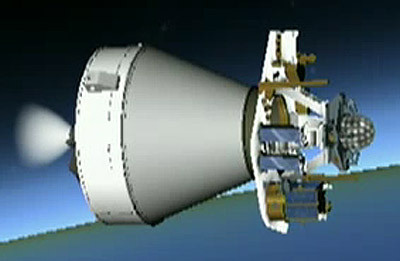 LARES-A&H/SS remains attached to Vega's AVUM upper stage. Primary objective is the release of LARES satellite in its operational orbit and conditions. Secondary objective is to support the LV qualification performing the acquisition of LV-related parameter data/video in the LV Payload area and fairings and transmit to the ground via telemetry the acquired data/video, to support the LV qualification performing high sample rate shock events acquisition and recording characterizing the actual Payload environment for future missions and to support media impact of LARES mission and first Vega qualification flight with high frame rate video cameras acquisition. An additional mission functions is to carry and release Secondary Payloads represented by 7 CubeSat micro-satellites and the ALMASat-1 satellite.